The Board of Directors of the Episcopal Evangelism Society (EES) is pleased to announce that the recipient of the Morgan Directors’ Award for 2016 is the Rev. Gayle Fisher-Stewart, founder of the Center for the Study of Faith in Justice at Calvary Episcopal Church in Washington, DC. Fisher-Stewart brought over forty years’ experience as an active police officer, as a consultant to law enforcement agencies, and as a university-level teacher of criminal justice to her call to ordained ministry. 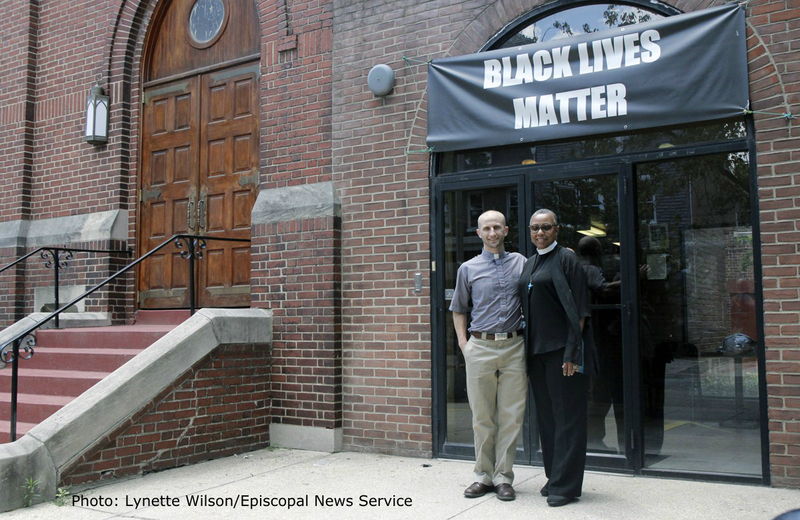 She completed the Anglican Studies program at Virginia Theological Seminary in 2015; while there, the civil unrest in Ferguson, MO inspired her to dream of a church that is known for its interest in justice, and to apply for an Evangelism for the 21st Century grant to establish the Center at Calvary. She has worked tirelessly to host forums about race, social justice, inequality, and policing. She has established a network of partnerships between the Center and the diocese, local nonprofits, and national policing organizations. Each year, the EES Board of Directors selects one to three grant recipients whose completed work best exemplifies the objectives of the Society. Recipients are selected for the scope, quality and particularly for the evangelical impact of the project. The award was named in November, 2007 for retiring Board Chair the Rev. Dr. Michael Morgan. Mike received support from the Society as a seminarian and served on the Board for many years. As Chair, he established the Director’s Award in 2002.